My kitchen has been off-limits for baking lately because we’ve been keeping the house super clean in case any potential buyers decide to stop in. We’ve decided to sell our house & downsize a bit, which is really exciting and scary at the same time. But I felt like I’d been away from here too long, and got inspired this morning to go ahead and make a mess. 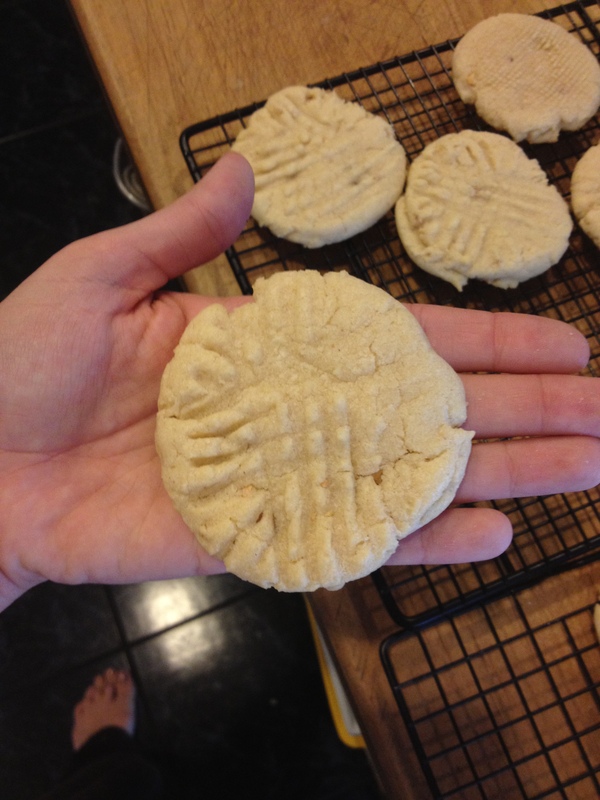 When I imagine peanut butter cookies, I imagine them as palm-sized, fluffy & chewy, slightly salty and VERY peanut-buttery little pieces of heaven. 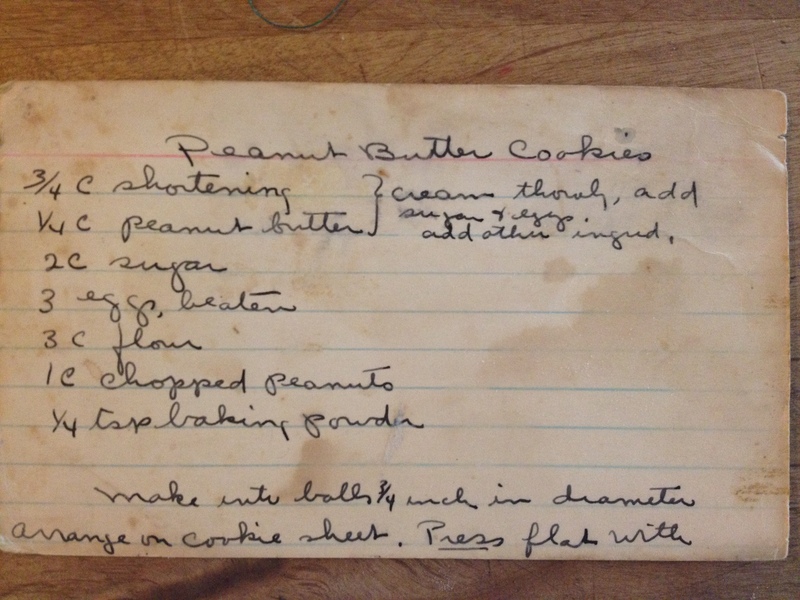 They’re probably my favorite cookies ever, so when I stumbled upon this peanut butter cookie recipe from Great-Grandma Helen’s collection, I knew it would be just the thing to jump back into the swing of this project. 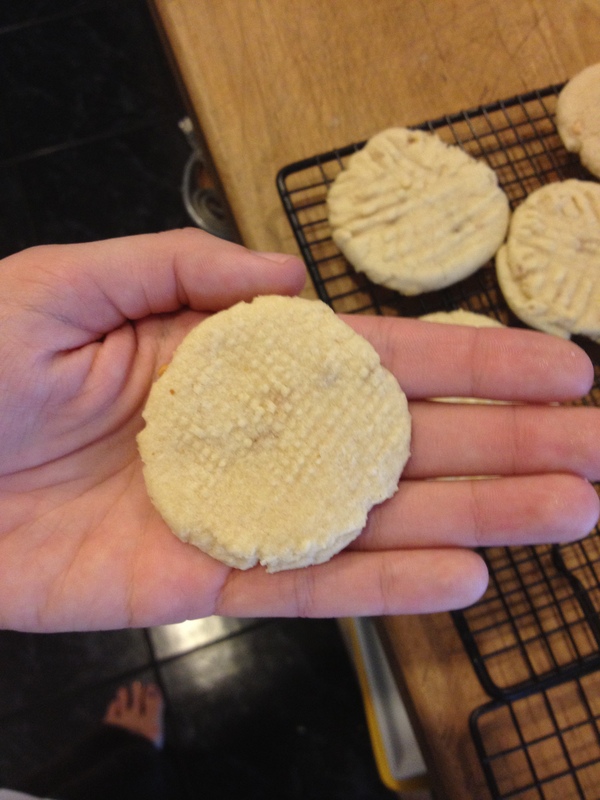 Cream together 3/4c shortening with 1/4c peanut butter. Add 3c flour, 1/4t baking soda, & 1c chopped peanuts. 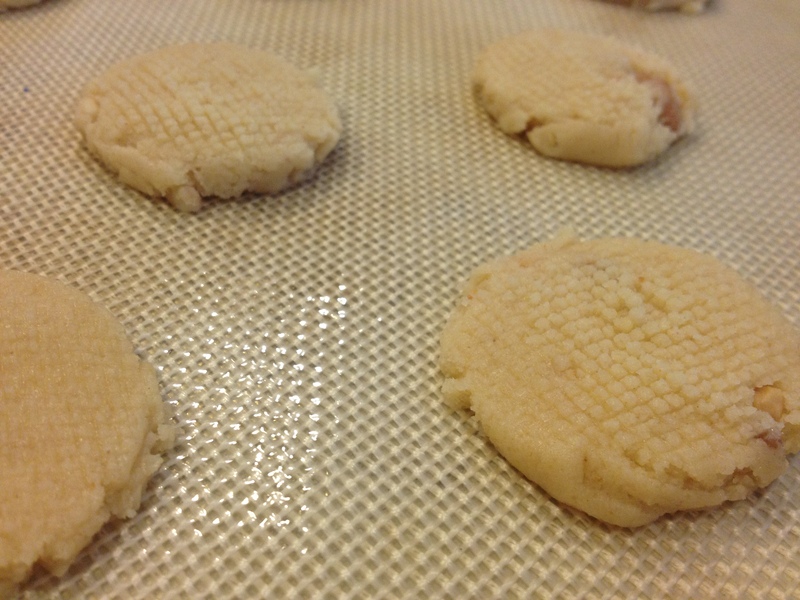 Place 3/4″ diameter balls on cookie sheet & press flat with a damp cheesecloth stretched over the bottom of a small glass. 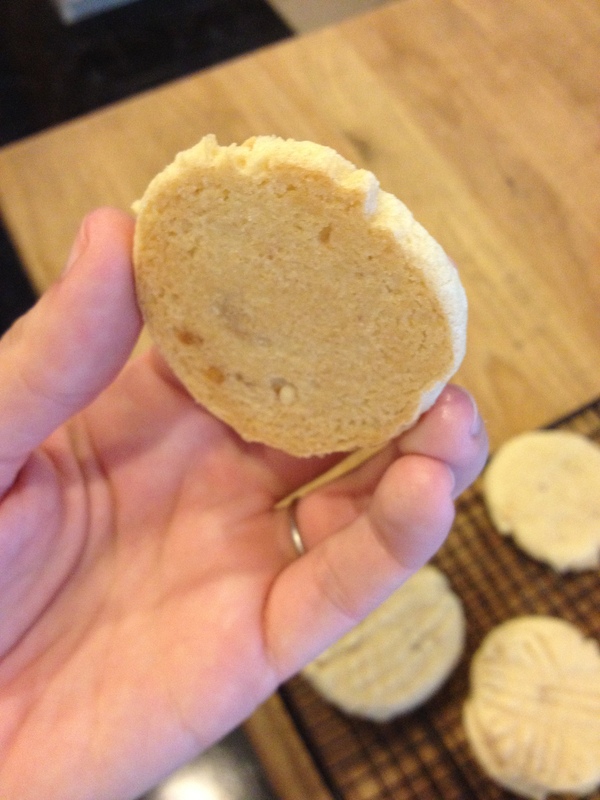 So for the first round of baking this rather large batch, I followed the instructions to a T. The only alterations I made to the recipe were adding a pinch of salt, because, really, what cookie doesn’t need salt? It had to be done. And also, since I didn’t have any cheesecloth around, I used the bottom of a sieve to achieve a small gridded pattern that I imagined would come close to cheesecloth. 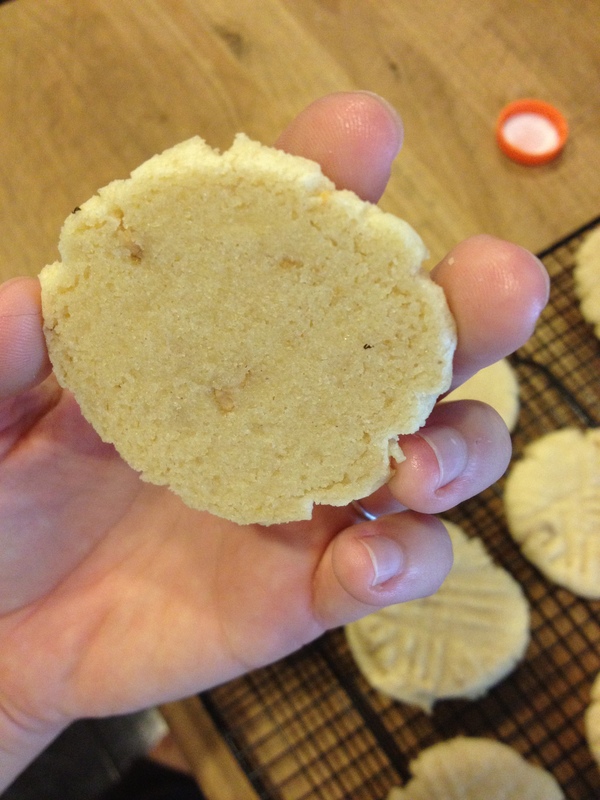 I always bake cookies on my silpat just for ease of release and saving myself from having to cut parchment, and it worked well for this recipe, but whatever you’ve got is fine. 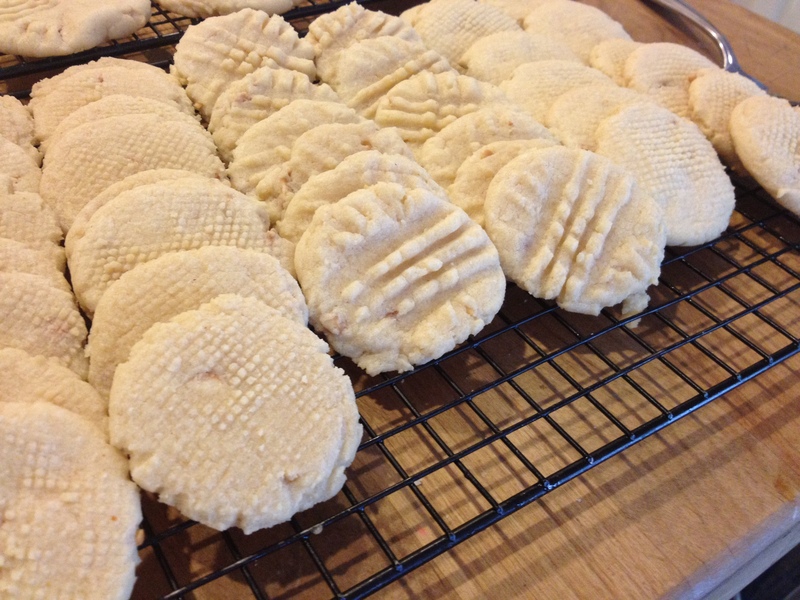 I’m not at all used to peanut butter cookies looking anything like this… They are almost white, and sort of have the look of pecan sandies, but when you bite into them — especially the larger, less-cooked version, there’s no mistaking that these are simple & spectacular classic sweets. I think next time, I’ll give this recipe a shot with butter instead of shortening, just to experiment. If you try it that way, let me know how it turns out!